U.S. District Court Judge Catherine C. Blake issued a fascinating opinion this week in Allstate v. Warns, denying a former Allstate adjuster’s motion for summary judgment in a “we think you stole our documents and provided them to the plaintiffs’ lawyer” case. The facts are juicy. It is more than worth the time to lay them out. Get some popcorn and head back over here. Welcome back. Defendant was an Allstate claims adjuster for 33 years, handling only lead paint cases during the last 5 years of her Allstate tenure. Seemingly, the very definition of a company gal. I would think that if you stay at Allstate for 33 years, you would be ordering extra glasses of the Colossus Kool-Aid and all the other noxious potions they are concocting in the lunch room over there. The first clue that this adjuster had fallen of the wagon is that she invited a number of plaintiffs’ lawyers – including the plaintiffs’ lawyer, that is going to hire her in a second, who she had ongoing lead paint cases with – to a party at her house. Allstate, probably monitoring the cameras it has installed at the homes of all its employees, found out and confronted the adjuster. Later, Allstate – alleges anyway – that this same plaintiffs’ lawyer had sent her flowers, gifts, and cards while she was at Allstate. Allstate says the adjuster quit, claiming she was going through personal issues. The adjuster was next seen by Baltimore Housing Authority lawyers, no strangers to controversy themselves; passing what someone thought was a confidential Allstate instruction manual on lead paint cases at the trial table of the flower/card/gift sending plaintiffs’ lawyer. 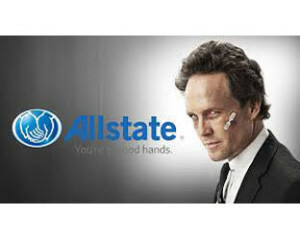 (That might not be exactly how Allstate found out. Humor me. The story reads better that way.) So Allstate sued her. Allstate’s lawsuit brought claims for breach of fiduciary duty and breach of contract, and requests both monetary damages – including punitive damages probably just to try to scare the woman senseless – and injunctive relief for the claims adjuster to stop doing these things. To stick with the insanity, the plaintiffs’ law firm that hired her is defending her in this case. What a great story! The end. No, wait, I forgot, the court actually issued a really well reasoned opinion supported by law. But the fun part of this post isn’t over. The court skeptically let the breach of fiduciary duty and breach of contract claims continue, although she openly questioned the viability of the claims. She underscored this doubt about Allstate’s lawsuit by refusing their request for a preliminary injunction because it questioned Allstate’s likelihood of success which is a key factor to consider in whether to provide injunctive relief. The punitive damage claims were, not surprisingly, dismissed. The opinion provides a lot of interesting analysis on these issues, but few Maryland personal injury lawyers will ever have to address these issues if they steer clear of trying to pick off insurance companies’ claims adjusters. Let’s get back to the more interesting discussion of what happened here. First, let’s take all of the allegations with a grain of salt: Allstate seeks conspiracies wherever it turns. But even setting aside what I suspect are some convenient distortions and downright fiction from Allstate – somehow, I doubt she was flouting documents she stole during a trial – there is a lot of strange stuff going on here. For example, our law firm has sent dozens of cards to adjusters who I know have been sick or lost a loved one. But sending cards, flowers, and candy? And then you hire them? Charitably put, we can all agree that is just weird. Allstate is pointing to a lot of smoke in this case. Whether there is actually fire or it is just Allstate being Allstate is anyone guess. If Allstate is loaded for bear as they appear to be, this case will be just the beginning. I would look for Allstate and other defense lawyers to try to disqualify this law firm from future cases and I would not be surprised if some defense firm files a claim against the adjuster and this law firm on behalf of Stanley Rochkind, an often sued lead paint defendant in Baltimore, in light of Allstate’s allegation that the adjuster stole a file and properties he owned. It will be interesting to see how this all plays out.